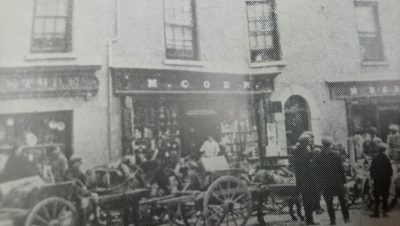 The Coen Group has been trading for over 100 years, building a valued reputation for excellence, innovation and industry leadership. In 1997 the Coen Steel division began trading independently as Coen Steel Group. 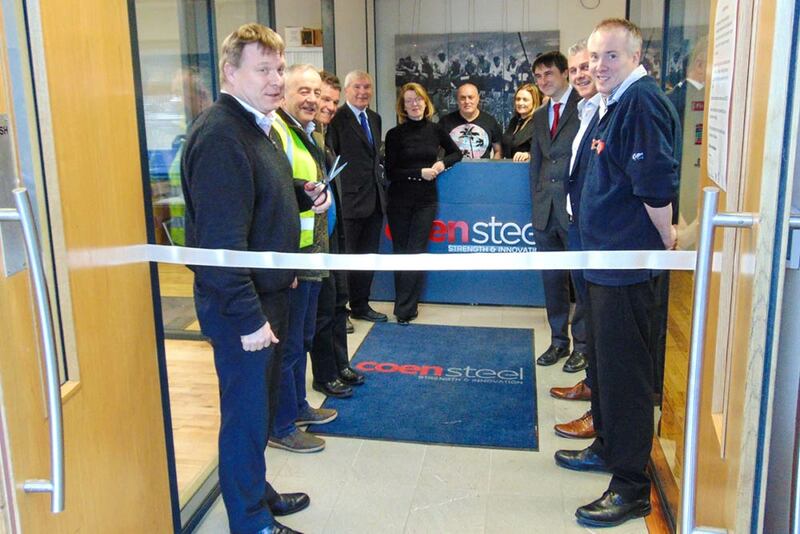 Today, Coen Steel is a robust and financially-secure steel business built on strong relationships of trust and confidence. We are uniquely positioned to continuously meet the specialised needs of our valued clients across many types of industries. Coen Steel’s manufacturing facility and warehouse complex, comprising over 60,000 sq. 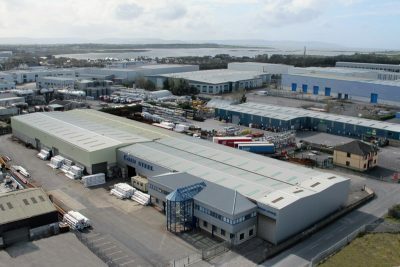 feet, is located on the main Galway/Dublin road at Oranmore. 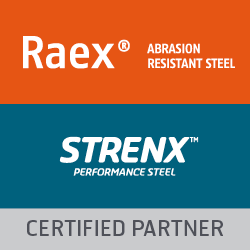 We manufacture, source and stock a wide range of standard and specialised steel product ranges and accessories. 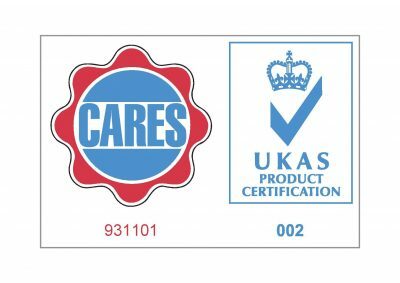 We offer on-site reinforcing, cutting and bending of CARES-approved steel to specification, including schedules generated by the world-leading aSa software. This innovative technology sets the global standard for steel products and services with automated processes that maximise efficiency across the sector. Our expert team uses these latest precision technologies to ensure the optimum results for our clients. 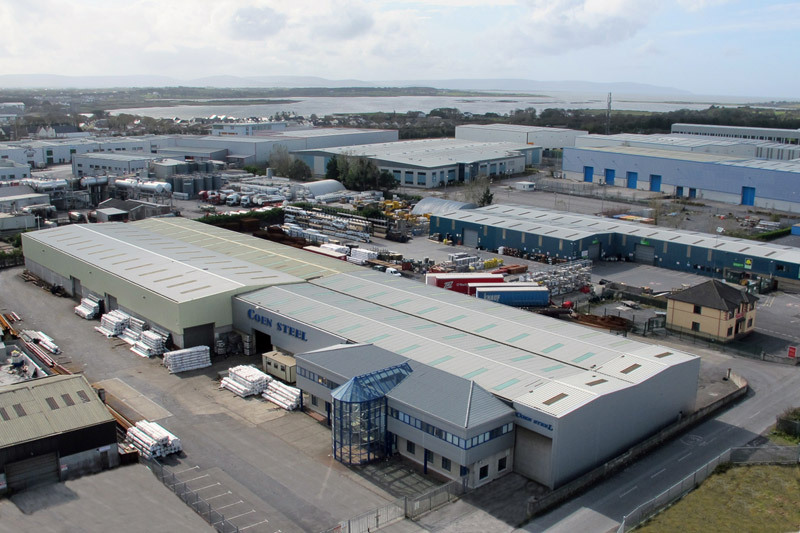 Our steel-landing and stock-holding facilities in Belfast, Foynes Port – Co. Limerick and Greenore port – Co. Louth provides a strategic base from which we can guarantee our clients the most efficient and reliable service. With our 1st-class distribution fleet, we can deliver to all locations across Ireland and the UK within 48 hours.